Pending any damages or final utilities. We offer leases from 3 to 15 months. Yes, $100,000 personal liability and the policy must have your unit and list all adults on the lease as well as Bandera At Preston Hollow as an additional insured. Yes, we have a Corporate Advantage Program. We waive the admin fee. DIRECTIONS: Via 75 Central S: Take the Northwest Highway Exit. Make a right onto Northwest Highway and continue on toward Hillcrest Ave. Make a right onto Hillcrest Avenue, then make a left onto Bandera Ave after the shopping center. The leasing office will be located on your left. Via 75 Central N: Take the Northwest Highway Exit. Make a left onto Northwest Highway and continue on toward Hillcrest Ave. Make a right onto Hillcrest Avenue, then make a left onto Bandera Ave after the shopping center. The leasing office will be located on your left. Bandera at Preston Hollow is the place to live in the affluent North Dallas neighborhood of Preston Hollow, TX. Our Dallas apartment community is just minutes from The Plaza at Preston Hollow, Highland Park Village, NorthPark Center, University Park, and Vickery Meadow. Walk to nearby restaurants like DISH, and shopping like Toni & Guy, Top Pot Donuts, Equinox Preston Hollow, etc. Bandera at Preston Hollow offers luxurious apartment homes to match your lifestyle. At Bandera in North Dallas, one bedroom and two bedroom apartments or townhomes are available with tasteful finishes, such as GE double ovens, granite or quartz countertops, and wood-plank or concrete flooring. Some apartments have carefully selected features such as a wine refrigerator and a luxurious spa shower and soaking tub. Several of our apartment homes offer attached or detached garages, and additional storage is available. Residents of our luxury apartments in Dallas appreciate the added benefit of AT&T U-Verse and Time Warner Cable availability! With endless possibilities at your fingertips, the amenities offered at our apartments in the prestigious Preston Hollow neighborhood of North Dallas, TX are comparable to a luxury resort. Relax by our resort-style pool, work out in our state-of-the-art fitness facility, or meet your neighbors for coffee in our beautiful club room. Along with our central location, several of our Preston Hollow apartment homes offer breathtaking views of Park Cities and Downtown Dallas, TX. Bandera at Preston Hollow is located between Vickery Meadow, Highland Park, and University Park. Best of all, we are just moments from Highway 75 and the Dallas North Tollway, making your commute to and from our luxury North Dallas apartments easier than ever. 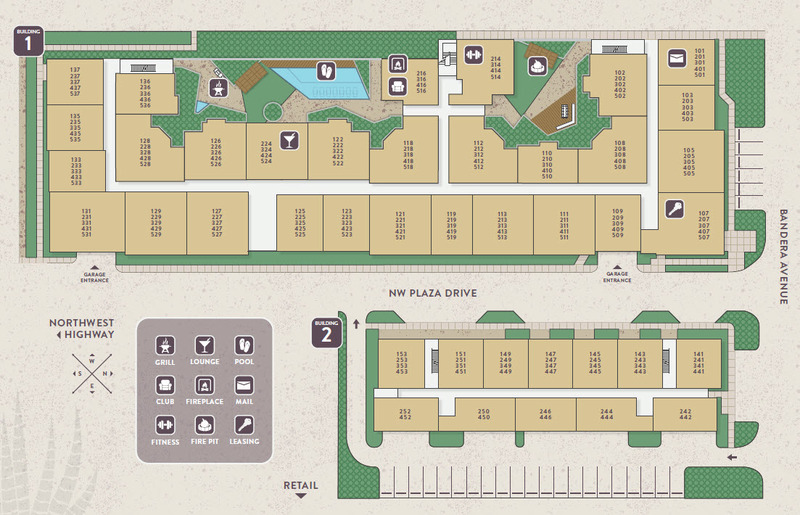 Our apartment community is just minutes away from restaurants and shopping venues. Why just settle when you can live in style? Find your new home here at Bandera at Preston Hollow!